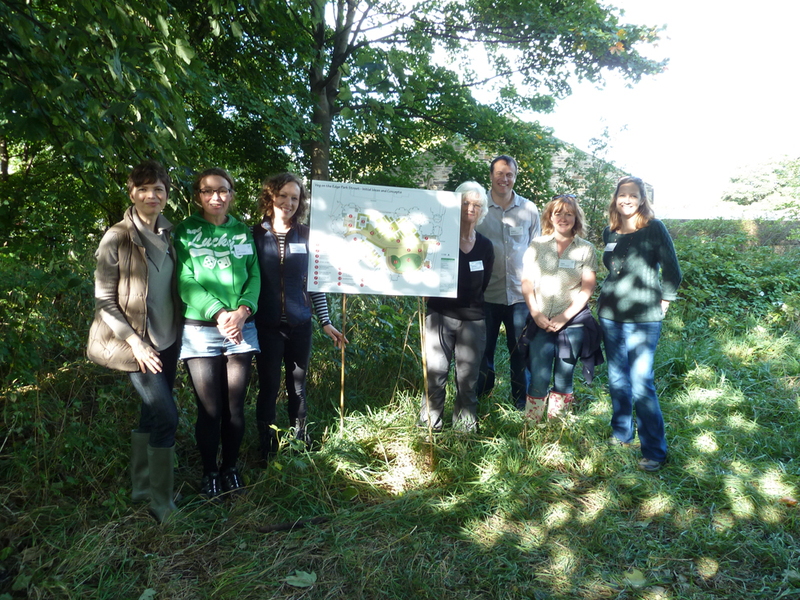 We were truly blessed by glorious autumnal sunshine at our Information Sharing Day on Sunday 6 October. 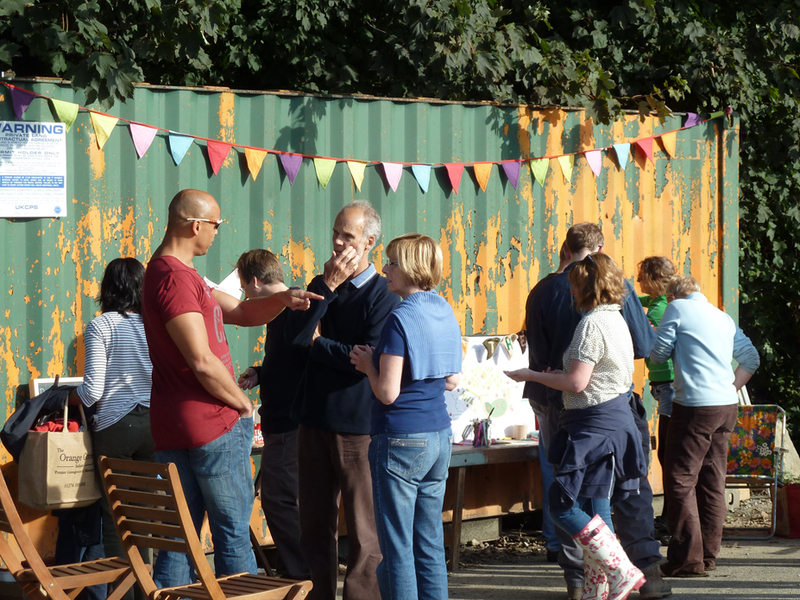 VotE members gathered together to welcome other local residents at the site and share our plans so far. 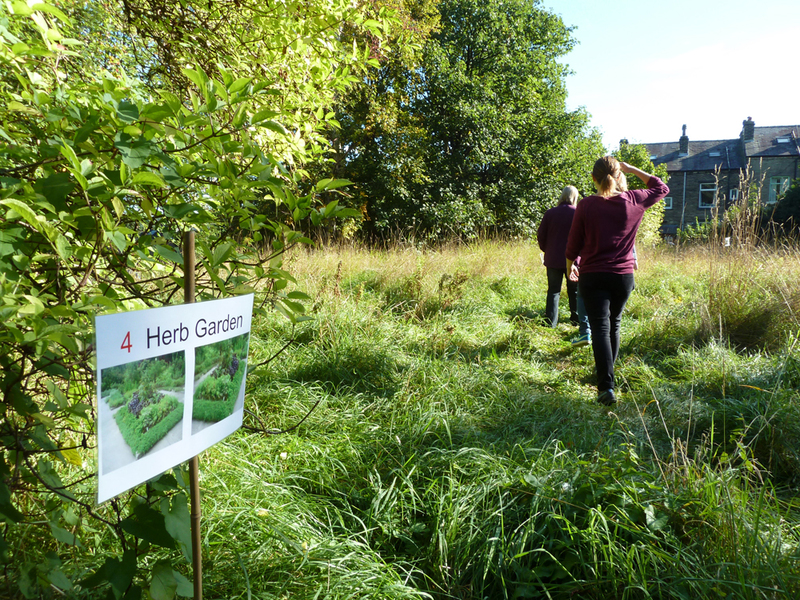 We were really pleased so many people came along to see us and there was non stop discussion about the possibilities for the site. All group members got stuck in, taking visitors on tours of the site and showing them where the different proposed features would be located. Special thanks also to Adele from BCEP who was on hand all day to support with the event and to help to explain the plans. You hopefully spotted our illustrated signs which gave a flavour of what you might discover where in the space. 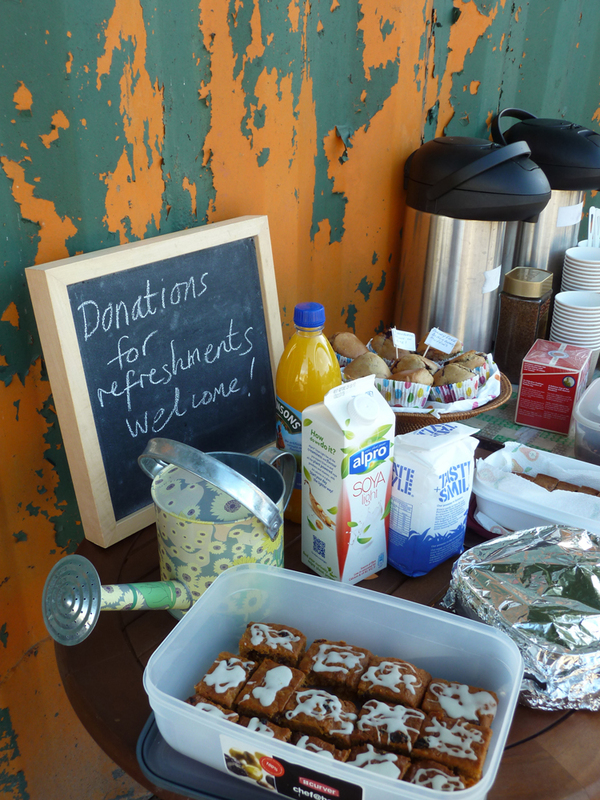 We came well prepared for non stop chatter, and VotE members prepared plenty of refreshments to keep everyone energised. This included some lovely bramble buns made using wild produce from the site. Thanks to the kind people who gave donations which went straight into the pot to help develop the site. 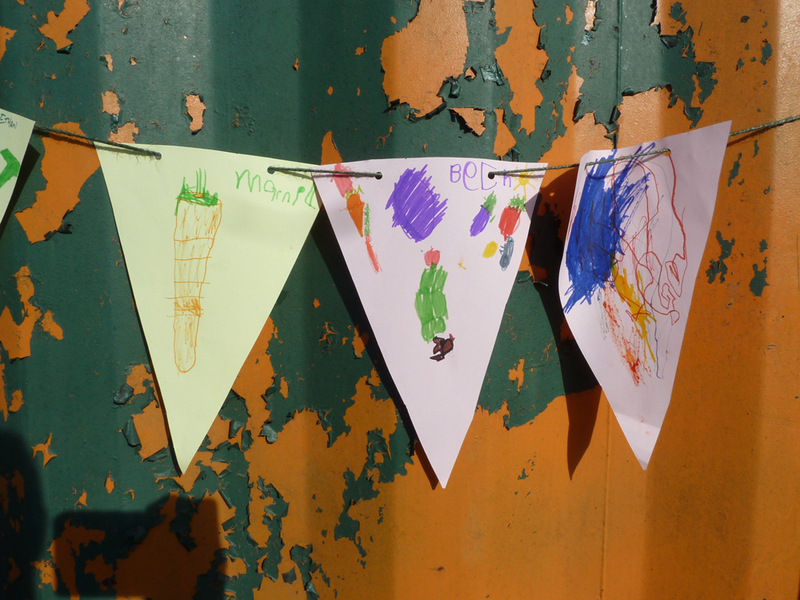 Crafty VotE’r Liz also found time to put the final finishing touches to our very own Veg on the Edge bunting. This was complemented wonderfully by drawings from our younger visitors depicting what they would like to see on the site. Carrots in particular being popular! It was so useful to hear lots of feedback and thank you to everyone who completed a questionnaire. These will be very helpful when planning next steps. If you’ve not had chance to tell us what you think yet, take a look at the initial designs for the site and follow the link to complete our questionnaire online. 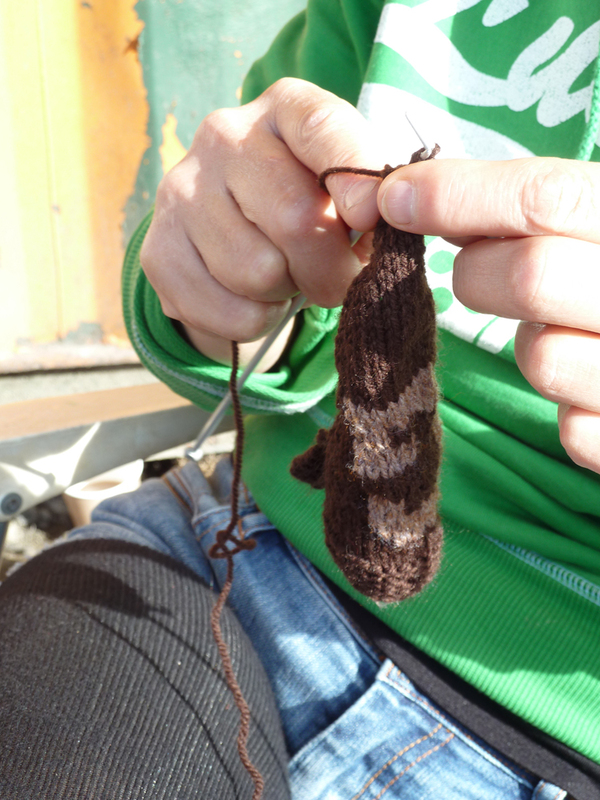 All in all we had a fantastic day and feel very excited about the next stage of the project. 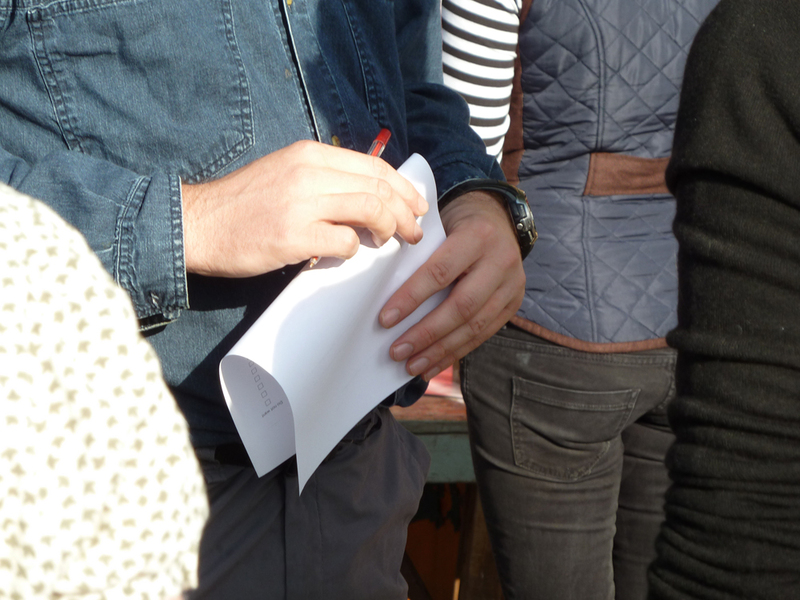 If you left your details with us we will be in touch soon to let you know how you can help make the vision for a community food garden become a reality. Thank you from Team Veg on the Edge! 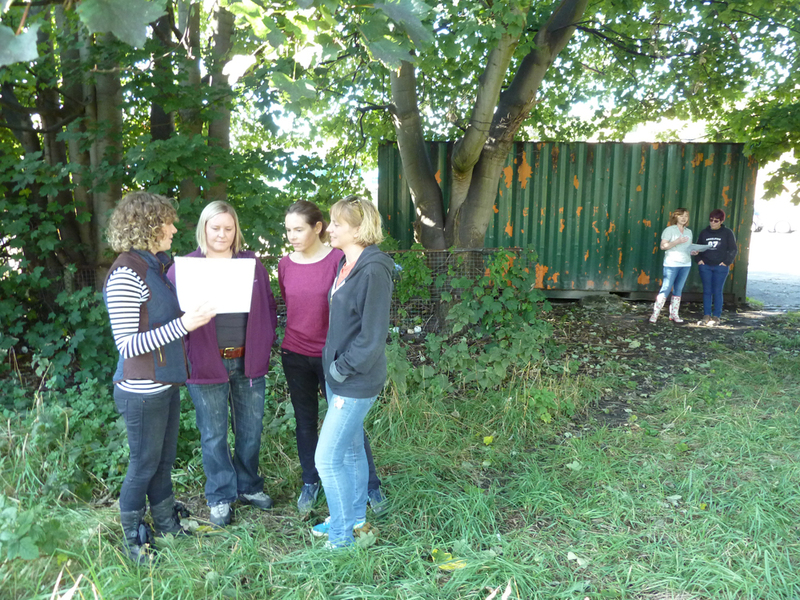 This entry was posted in News and tagged Community Food Garden, Saltaire, Shipley, Veg on the Edge, VotE on October 14, 2013 by Veg on the Edge.